This stuff is seriously addicting. 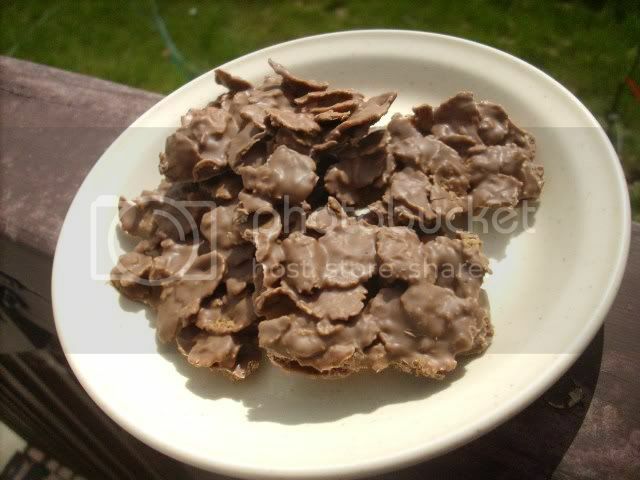 The kids and I wanted a little snack the other day, so I came up with this very simple candy-like treat. Three ingredients, a little time in the microwave and then the fridge, and they're done. And sooooooo yummy! Crunchy, chocolatey, peanut buttery goodness. Melt candy coating and peanut butter together in the microwave. With my microwave, 1 minute on high is usually just right. Stir in the cereal. Oh I want a bite NOW! 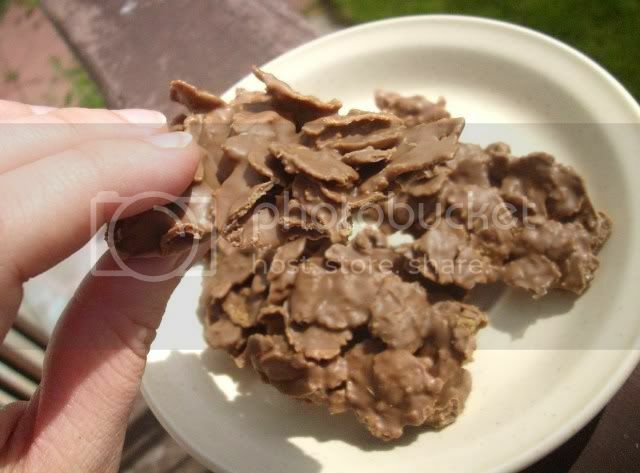 This is something I would soo enjoy...pb...choco...crunchy...perfection! Thanks for sharing this great idea...I've got it all and can make it very soon. Thanks. What a great party snack idea. Thank you for sharing!